Rice is a nutritious cereal. It is a good source of insoluble fibre. Insoluble fibre reduces the risk of bowel disorders and fights constipation. Among other nutrients, rice is rich in carbohydrates, the main source of energy, low in fat, contains some protein and B vitamin. It can give 345 calories of energy. There are thousands of varieties of rice world over. Rice is grouped in many ways. By physical characteristics: as in long grained, short-grained, aromatic or brown rice. By level of preparation: paddy, raw rice, hand pounded, milled or parboiled. Genetic types: Ponni, IR 20, Jeeraga Sambha, Basmathi, Nellore. Each has special quality varying on nutritive values, taste, pest resistance, suitability for farming in certain geographies, climate and markets. 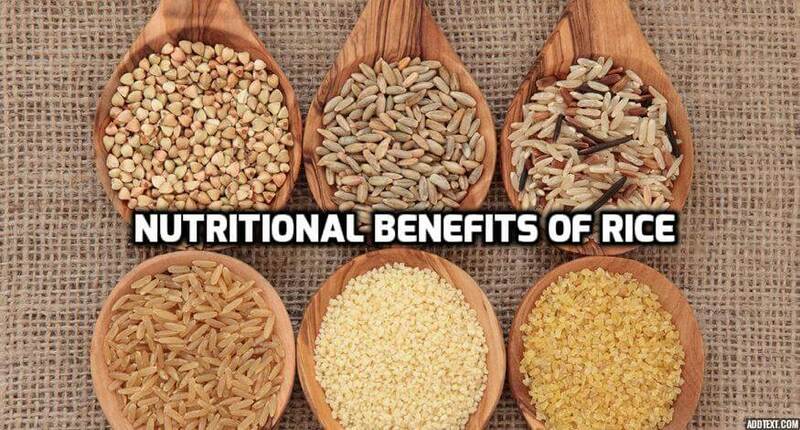 The newer varieties of rice include the hybrids like IR 8, IR 20, ADT 36, etc. These varieties are short duration crops which can grow in less than four months and there can be three yields (harvests) per year. Though nothing much has been done on comparative nutritional values, they have more flour producing grains especially the IR varieties and can be used to make dough for idly, dosai etc. ADT is good as food. Golden rice is the genetically modified rice which was created to combat the malnutrition present due to the presence of Vitamin A deficiency. Two genes of DAFFODILS and one of BACTERIA have been used to prepare this rice. However, some controversy surrounds the concept of golden rice. One of the issues of the controversy is that it is an expensive alternative to native sources of Vitamin A, for the poorer countries. How is rice best stored? Rice is best stored in bags that have been soaked in neem oil solution or neem extract solution and dried. Dry neem leaves (Azadirachta indica) may be added along with rice. Pest controllers may be sprayed on the floor around the bags. Apart from the insect pests, rodents (rats) eat away a major portion of the storage. How is rice best cooked? What is the best way to consume rice? Rice is best cooked by the following method. Use a steamer with a loose lid. Water for cooking the rice twice or three times in volume. Don’t strain the excess volume of water. BBC’s 100 most nutritious foods-seen it yet? Rice can be consumed in any form as rice, idly, dosai, idiappam, pongal, payasam etc. But to meet the daily requirement of carbohydrates rice can be consumed as rice. Weight watchers can cut the quantity of rice as an easy way to cut the calories. South Indian meal had the traditional way is very balanced. The proportions of vegetable taken with the meal should be equal to the rice intake if not more. When you are having chapatis, you can count the number you are supposed to have and limit your meal. It is very difficult to quantify rice in a meal unless we are very careful about it. Few of us can limit the measure of rice during a 2/3 course rice-based meal, or when many side dishes are provided. Normally weight watchers overeat and one rule of thumb for cutting calories is to reduce the rice taken. There is an optimum level for total calories to be consumed per day. Experts say that 55 – 60% of normal diet calories come from carbohydrates; complex carbohydrates in particular. This means that if you eat 2,500 calories a day, carbohydrates should supply approximately 1,375 and 1,500 calories. Not all of this need come from rice (or any cereal like wheat, ragi, bajra etc.). Other foods in a meal, such as vegetables also contribute carbs in varying amounts. So you may be advised to take 2-3 cups of rice a day (depending on age, activity level etc.) to meet the carb needs. Urban Indian cuisine patterns are changing currently for the worse. Because of globalisation, affluence and availability of foods the trend is towards a high fat, more refined food culture. We have to take rigorous steps to educate people to choose the right combinations of foods to remain healthy though they can keep up with the changing trends. What was indigenously cultivated in an area is called “crop of the people”. It definitely fits into the lifestyle of the people.